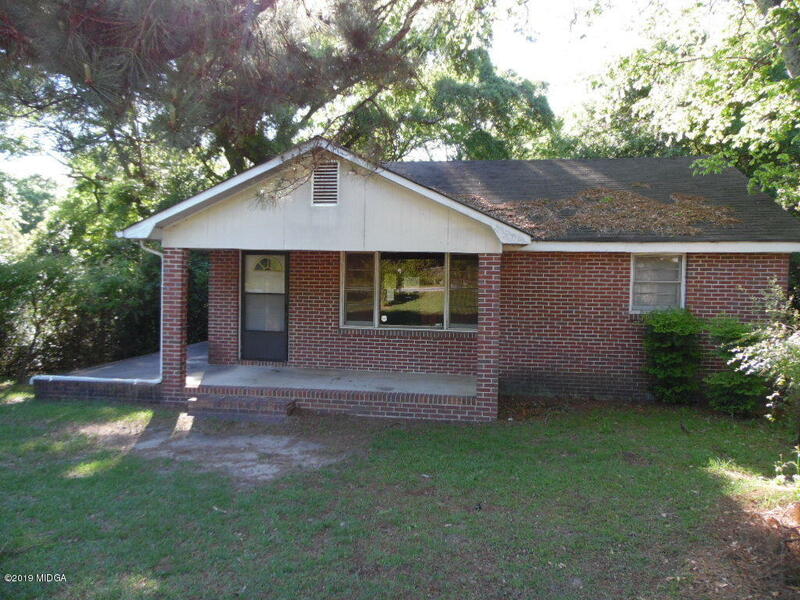 Remarks at 3444 Mogul Road Macon, GA - Brick front home with 2 bedrooms/1 bath/ living room/ separate dining room/ kitchen and den. Washer and dryer connections are in the utility room. Lot is .37 acre and there is a detached garage/workshop. The front porch is a wraparound one. This property has been placed in an upcoming auction event. All offers should be submitted at https//www.xome.com (void where prohibited). All offers received while in auction should be by the buyer or buyer's agent, either by clicking on the ''Bid Now'' button if availablek onj the Property Details page on https://Xome.com or submit the offer via email to Auction@Xome.com.